Our teachers bring unique skills to our classrooms. They guide the learning process and facilitate an atmosphere which is conducive to key Montessori principles: Grace, Courtesy, Leadership, Self Esteem, Independence. 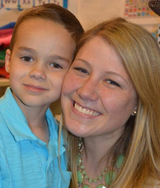 This is Mrs. Nace’s ninth year as the director of Children’s House of Exton. Prior to joining CHE, Karen owned and operated a 120 bed assisted living facility for fifteen years. She graduated with a B.A. in Business from Gettysburg College and received her Montessori certification from Chestnut Hill College. She has many years of volunteer experience in both the community and her children’s schools. Karen has taught business classes and was Director of the Volunteer Center in her previous community. She feels it is an honor to help each child develop to his full potential in the Montessori classroom. Mrs. Yohannan has been teaching at Children’s House of Exton for five years. She received her undergraduate degree in Elementary and Early Childhood Education from Millersville University. After teaching two years in the public school setting, she found a parallel to her educational philosophy in the Montessori curriculum. She went on to receive her Montessori certification along with a Master’s degree in Education from Chestnut Hill College. 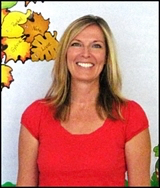 Blair has extensive experience working with both Kindergarten and pre-school age children in various settings. She particularly enjoys having the opportunity to watch her students blossom over the course of their time in the multi-age environment. Mrs. Urie is in her 12th year as the assistant teacher in both the A.M. and P.M. classes at Children’s House. 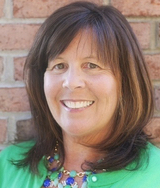 Prior to joining the staff at CHE, Donna was a Kindergarten teaching aide at Holy Family School in Phoenixville, PA. In rain or shine, Mrs. Urie greets your children at the car when they arrive at school. She also works diligently to assist in the setup of the classroom each day. Mrs. Urie is amazed by the growth she sees in all of students during their time at Children’s House. 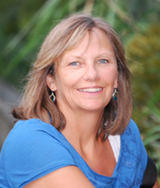 Mrs. Bateman has over 20 years of experience working with, and teaching pre-school children. She is AMS certified from the College of New Rochelle, NY. 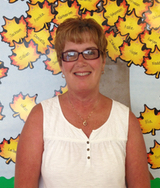 Debby holds an AMI certification and a Pennsylvania Private Academic License. Over the years she has taught in several Montessori schools. Debby recently returned to the U.S. from Germany where she worked for the last thirteen years at Black Forest Academy. While at the Academy she was a first grade teacher and also taught Art for grades 1 – 12. Mrs. Bateman has created the Art curriculum at CHE. She works with your children to study famous artists, and create masterpieces of their own. Mrs. Van Pelt joined the staff of Children’s House of Exton in March of 2012. Before beginning her time at CHE, Beth worked as a registered nurse with her primary focus in home health care. She is currently licensed in the state of Pennsylvania. After watching her son graduate from Children’s House, she now feels honored to work with the students, and observe them learn and grow.